Lymphocytic esophagitis (LyE) is a novel, yet poorly described, clinicopathologic entity. The aim of this systematic review was to characterize the demographic, clinical, endoscopic, and histologic features of LyE in observational studies of adult and pediatric patients. We searched the Embase, MEDLINE, and SCOPUS databases for relevant studies in 2018. Two authors reviewed and extracted data from studies that met the inclusion and exclusion criteria. We identified 20 studies for analysis of demographic, clinical, and endoscopic features of LyE. The mean age ranged from 9 to 67 years. When pooled, there were 231 (52.7%) patients with LyE that were female. The most common presenting symptom was dysphagia reported in 191 (48.8%) patients. On endoscopy, most patients with LyE tended to have abnormal findings (69.0%), which included erosive esophagitis, multiple esophageal rings, linear furrows, and narrow-caliber esophagus. In the 31 studies used to assess the histologic definition, the cut-off number of intraepithelial lymphocytes (IELs) was reported in 16 (51.6%) studies, peripapillary IEL specification in 18 (58.1%) studies, and presence of spongiosis in 6 (19.4%) studies. We identified a spectrum of demographic, clinical, and endoscopic findings characteristic of patients with LyE. A consensus on the diagnostic criteria of LyE is required. Previous presentations: an abstract of an earlier version of the paper was presented at Canadian Digestive Disease Week 2018. The online version of this article ( https://doi.org/10.1007/s10388-018-0649-1) contains supplementary material, which is available to authorized users. Mohamad Habbal and Michael A. Scaffidi contributed equally for first authorship. We would like to thank Kaitlin Fuller and David Lightfoot for their assistance in formatting the search strategy and Roger Chow for administrative assistance. Study conception and design: MH, MAS, GPK, SCG. Data acquisition: MH, MAS, MR, AA-M. Analysis and interpretation of data: MH, MAS, AR, SCG. Drafting of the manuscript: MH, MAS, AR, RK, SCG. Study supervision: SCG. Critical revision of the manuscript for important intellectual content: MH, MAS, AR, RK, MR, AA-M, MJA, TJ, AS, GPK, CJS, SCG. Final manuscript approval: MH, MAS, AR, RK, MR, AA-M, MJA, TJ, AS, GPK, CJS, SCGrover. This study was approved by the research ethics board of the University of Toronto. Samir C. Grover reports consulting fees from AbbVie, Takeda, and Ferring, research support from AbbVie, Janssen, and Takeda, and has ownership shares in Volo Healthcare; all outside of the scope of this study. Al-Mazroui A, Scaffidi MA, Jeyalingam T, et al. Lymphocytic esophagitis: a case series profiling disease characteristics [Internet]. Gastroenterology 2017;152:S892. http://linkinghub.elsevier.com/retrieve/pii/S0016508517330469. Furuta GT, Liacouras CA, Collins MH, et al. 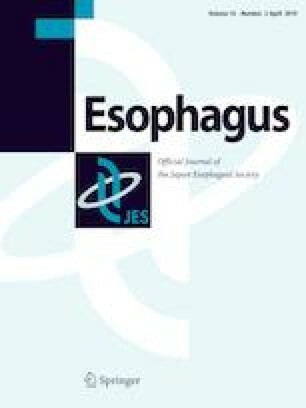 Eosinophilic esophagitis in children and adults: a systematic review and consensus recommendations for diagnosis and treatment [Internet]. Gastroenterology 2007;133:1342–1363. http://linkinghub.elsevier.com/retrieve/pii/S0016508507014746.